Twins! More twins! Women-chased and chaste! The first musical ever adapted from Shakespeare remains the most madcap musical farce ever to animate the stage. Antipholus and his wily servant, Dromio, travel to Ephesus in search of their respective twins, from whom they were separated in a shipwreck. Naturally, they are immediately taken for their brothers and we're off and running on a riotous chase from marketplace to marital bed. Perplexed wives, disgruntled courtesans, outraged constables and an audience roaring with laughter are left in its wake before this show's tangled web is unraveled, and Rodgers & Hart & Abbott have triumphed once again! Description Tags: Strong Role for a Leading Man • Strong Role for a Leading Woman • Musical Comedy • From the World of Literature • Something Different • Classic Broadway • Jazzy. Cast Size: Medium (5-21) • Large (14+). Vocal Demands: Easy • Moderate. Dance Requirements: Some Dancing Required • Minimal. Good For: High School • College/University • Amateur/Community • Professional Theatre. In 1938, Rodgers & Hart's musical THE BOYS FROM SYRACUSE had its New York premier at the Alvin Theatre, and ran for 235 performances. The birthday of William Shakespeare! Rodgers & Hart's musical THE BOYS FROM SYRACUSE (1938) marked the first time that Shakespeare was adapted for Broadway. Based on THE COMEDY OF ERRORS, the story brings not just one but two sets of estranged twins into a series of near-collisions, resulting in a major case of mistaken identity. Hart's lyrics throw in further Shakespearean references, as in the song "This Can't Be Love"" : ""Though your cousin loved my cousin Juliet / Loved her with a passion much more truly yet / Some poor playwright / Wrote their drama just for fun. / It won't run!""" In 1895 Lorenz Milton Hart was born in New York City. In 1918 he was introduced to Richard Rodgers, and they collaborate on twenty six Broadway musicals over the next two decades, including A CONNECTICUT YANKEE (1927), BABES IN ARMS (1937), I MARRIED AN ANGEL (1938), THE BOYS FROM SYRACUSE (1938), PAL JOEY (1940), and BY JUPITER (1942). In 1887 George Abbott was born, Broadway actor, writer, and producer. His musical collaborations included ON YOUR TOES, THE BOYS FROM SYRACUSE, ON THE TOWN, PAL JOEY, DAMN YANKEES, and FIORELLO!, for which he won the Pulitzer Prize in 1959. 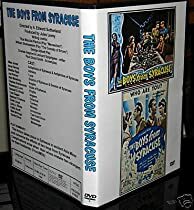 The Boys from Syracuse: What Can Time Do? When THE BOYS FROM SYRACUSE opened at the Alvin Theatre in New York City on November 23, 1938, Brooks Atkinson of the New York Times said, “Rodgers and Hart have written some of their gayest songs…a beautiful feast of rollicking mummery…” and Richard Watts of the Herald Tribune called it “…the finest and most satisfying musical comedy that has reached New York in many a season…” The original production ran for seven months but the 1963 New York revival ran twice as long and received even more enthusiastic notices. 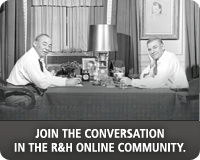 Richard Rodgers and Lorenz Hart worked together for twenty-five years, during which time they wrote the songs for 26 Broadway musicals, 3 London musicals, and 9 films. They also collaborated on one night club revue and one non-musical play. Mr. Hart died in 1943 at the age of 48. Mr. Rodgers then entered another extraordinary partnership with a man he had known from their Columbia University days – Oscar Hammerstein 2nd, with whom he worked exclusively until Mr. Hammerstein’s death in 1960. Mr. Rodgers continued to entertain Broadway and television audiences with his music until his death in 1979. Every time an opportunity presents itself to restore another Richard Rodgers score, I am reminded of Alec Wilder's comment in his book American Popular Song. In that fascinating and opinionated tome, Wilder wrote of Rodgers: "After spending weeks playing his songs, I am more than impressed and respectful: I am astonished." Those of us involved with this recording were inclined to echo Wilder's words. The fact that THE BOYS FROM SYRACUSE boasts so many standards isn't what's astonishing. What is astonishing is the melodic invention, musicianship, theatricality, harmonic surprises, and even mischievousness to be found in this score and its musical arrangements. Sitting at the orchestra’s sitzprobe for the Encores! 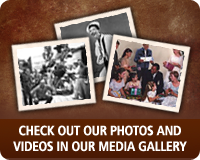 performances in May 1997, Mary Rodgers remarked "this stuff is so wonderful—I only wish my old man could see what joy we're all getting from his music sixty years after he wrote it." 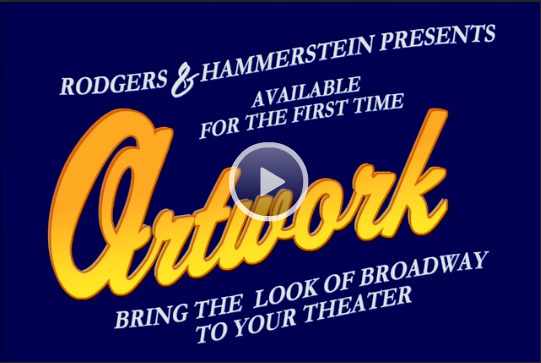 But what is it exactly about Richard Rodgers that made Alec Wilder astonished? On the surface Rodgers’ songs sound straightforward and tuneful. There are hummable melodies and familiar sounding harmonies. But take a careful listen. Is it possible to be tuneful and astonishing at the same time? Yes, indeed. The Shortest Day Of The Year, for example. The lyrics for the first four lines of the refrain form one complete thought—which needs your attention all the way through to make sense. So Rodgers tricks you by taking the melody where you don't feel it will go until it gets there—at which point you say to yourself "Oh, yes." The notes he chose for the end of each of the first two lines—"The shortest day of the year, Has the longest night of the year," are not the notes for which the preceding phrase has prepared you. Both notes have an unexpected and "blue" quality that Rodgers used so cleverly ("Oh, what a beautiful mornin’" for example) throughout his career. Those unresolved notes hold us briefly in emotional suspension until music and lyrics are ready for a mutual resolution. An easy melody is kept interesting, and we are viscerally satisfied. The way Rodgers harmonized his melodies is equally surprising. Listen to how he created the sublime descending feel of You Have Cast Your Shadow On The Sea—and then what he did on the line "on both the sea and me." It eludes us, then catches us, and leaves us where we didn't expect to be. And then there is the sheer emotional pleasure of the harmony rising from beneath the last notes of the verse of Falling In Love With Love ("Wives can only sew and weep.") When the waltz melody begins (and no one wrote better waltzes) it's hard not to smile. All this invention was, by the way, totally instinctive. Stephen Sondheim recounted that he once told Rodgers how much he admired "...the way in People Will Say We’re In Love the middle section was an exact musical inversion of the beginning. [Rodgers] blinked at me as if I'd been speaking Eskimo... He did the right thing, but he couldn't begin to analyze why." Another right thing Rodgers did was to hire a very young Hugh Martin to create vocal arrangements. Martin's arrangement of Sing For Your Supper has not only proven to be a show stopper since 1938, but is perhaps the most imitated vocal arrangement in theater history. Bringing that "downtown" vocal feel to the uptown world of Broadway was a stroke of genius. And what of Lorenz Hart? Here was a nimble witted, naughty, and sometimes cynical songwriter who also happened to be an erudite scholar, expert on everything from the classics to Rilke. Only he would gleefully turn an esoteric Greek myth into a song about a man-grabbing woman (Oh, Diogenes), and reduce the story of Romeo and Juliet to two verses sung by confused would-be lovers. (He: "...my late cousin Romeo..fell in love and then he died of it. Poor half wit!" She: "Some poor playwright wrote their drama just for fun. It won't run!") In Dear Old Syracuse he found subtle ways of describing distinctly different lights in patios: those at home where "there’s a light that's burning in the patio" and those where a man goes when he’s lonely - "there’s a red light burning in the patio." (The first red light district?) This is the kind of humor that can whiz right past in performance—if you’re not careful, you'll miss it altogether. And what breeziness, humor, and just plain fun there is in such thoughts as: "Some men wear half pajamas, I took a chance. I bought the guy pajamas, he wears the pants." On the other hand, "Caring too much is such a juvenile fancy" is pure poetry. One of the songs from this show that has been forgotten (this is its first known recording) is Big Brother, sung by the Dromio of Ephesus, played in the original production by Lorenz Hart's younger brother Teddy. It provides the introduction to the ballet (choreographed by George Balanchine) in which one brother searches for his lost twin. But it may have had a personal resonance as well. Teddy and Lorenz Hart looked alike and were both short; maybe Larry was offering a homage to his own brother. No cynicism here, just pure resonant sibling sentiment. There’s always a danger in lavishing too much praise on people who just did what they loved to do. 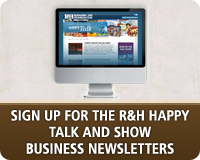 Were Rodgers & Hart aware of the artistic superiority of their work? Probably. But did they care? Maybe. Alan Jay Lerner said of Lorenz Hart: "Whether he cared or not, he was as close to being [a genius] as lyric writing has produced." Rodgers and Hart were first and foremost two guys who loved the musical theater and were devoted to giving every show their best. They wanted to keep writing, and write they did—contributing to 47 shows and movies over 22 years. 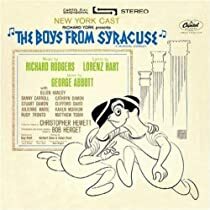 Thanks to the pieces of paper left behind and to some of today’s more enlightened theater artists, we can once again revel in Rodgers & Hart’s astonishing THE BOYS FROM SYRACUSE. On to the next restoration. January 01, 1962 — Outstanding Achievement in Off-Broadway Theatre. 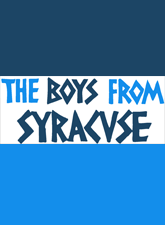 THE BOYS FROM SYRACUSE takes place in Ancient Greece. Trap Set, Timpani, Suspended Cymbal, Xylophone, Wood Block, Gong, Glockenspiel, Vibraphone, Finger Cymbals, Tambourine, Ratchet, Siren, Triangle, Temple Blocks. *Currently media rights for The Boys From Syracuse are not available. Please contact customer service with any questions.